Royal National Capital Agricultural Society CEO Athol Chalmers announces the new Canberra Show ticket prices at Exhibition Park. Photo: George Tsotsos. Organisers of the Royal Canberra Show have slashed ticket prices for next year as part of an opening gambit to arrest declining attendances and revive the struggling event. Tickets will be 30 per cent cheaper than this year, with a further 20 per cent discount if purchased online, as well as $5 a day for school students. The Royal National Capital Agricultural Society will also introduce a suite of new features while reinforcing the show’s traditional elements such as bringing back the popular woodchopping. Show entry will now cost $20 for an adult, $12 for children and $50 for a family (up to 2 adults and 2 children), compared with the 2018 prices of $30, $18 and $72 respectively. The Society’s new CEO, Athol Chalmers, said organisers had listened to the community to make the show, to be held on 22-24 February, more affordable. “In addition to this significant price reduction we will also be offering all Canberra and regional schools the opportunity for their students to attend the show on Friday 22 February 2019 for $5 per student,” he said. Mr Chalmers said the 2019 Show would have some new and exciting events and innovations, with further announcements coming on parking, community engagement, food and drink offerings, technology and free entertainment. He said it was no secret that the show had struggled in recent years with falling attendances but it was fundamentally a good event, and the Society remained on a solid financial footing after successful events at EPIC such as the Home and Leisure Show and the National Wine Show. This year’s Sunday washout at the Canberra Show had been a blow but he believed there was great potential for more events to be staged at EPIC to protect the Society against unforeseen weather events. “It’s a prudent thing for us to do to have a diverse range of events with different revenue streams, instead of relying on the show. There are lots of events we could run out here at EPIC. It’s a great facility so I think we can do more things out here, both on the grounds and in the pavilions,” he said. Mr Chalmers said the Society had been seeking advice and inspiration from other shows around Australia, particularly the Royal Easter Show in Sydney. One event it had staged successfully was the Farm of the Future, highlighting innovation and technology in the agricultural sector. Mr Chalmers said the core of the show would still be the same, but the Society was looking to add some different entertainment options and new display areas. He was talking to several organisations about staging new events in the arena beyond those such as the traditional precision cars, as well as investigating the possibility of live music in various areas of the site, including the bars. He said the show was also about bringing the Canberra community together and highlighting its different aspects and he was keen to have an area set aside for a multicultural precinct. Show patrons can also expect a wider range of food and drink at next years’ show. “People think about a show as Dagwood dogs and chips but people’s tastes have changed so we need to have some better offerings than that,” Mr Chalmers said. 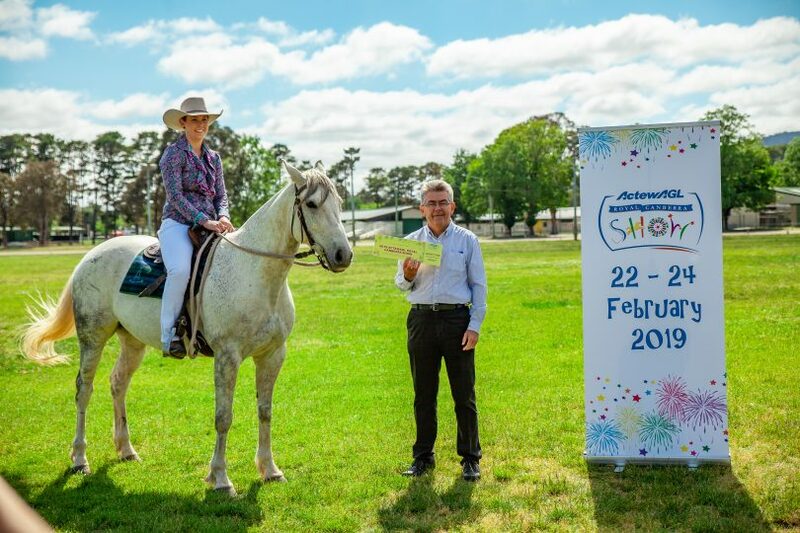 The 2019 Bega Show program is smoking!